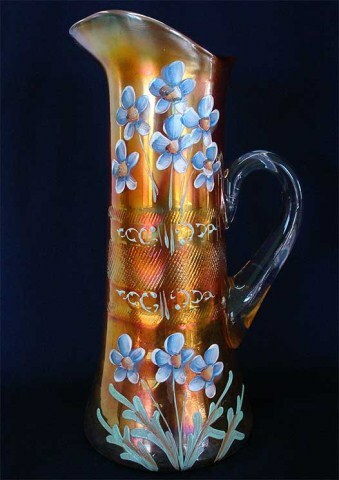 On the Forget-me-not pitchers, the smallish flowers are in two groups above and below the diagonal prism band. 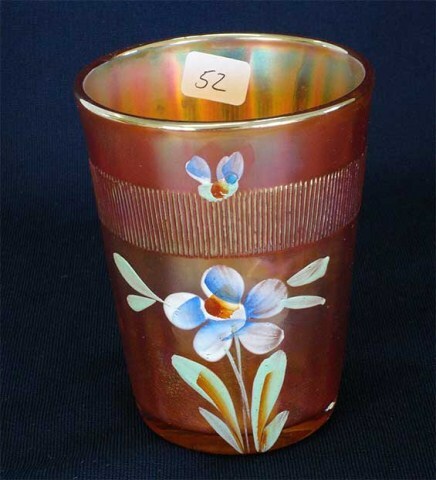 On the tumblers, the single flower is largely below the prism band. 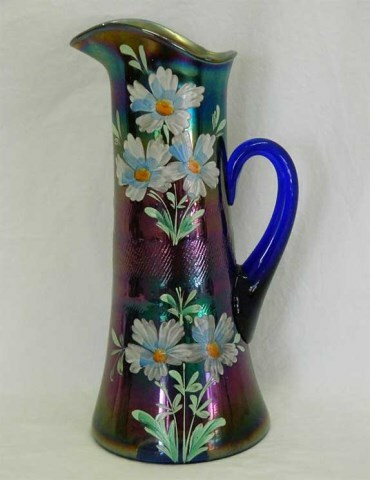 There may be slight variation on the flowers from piece to piece. 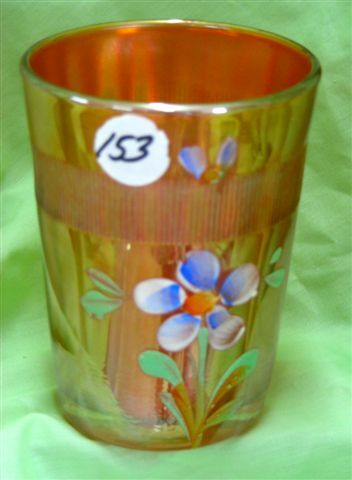 Also found with Banded Drape pitchers (scarce) in green and marigold. 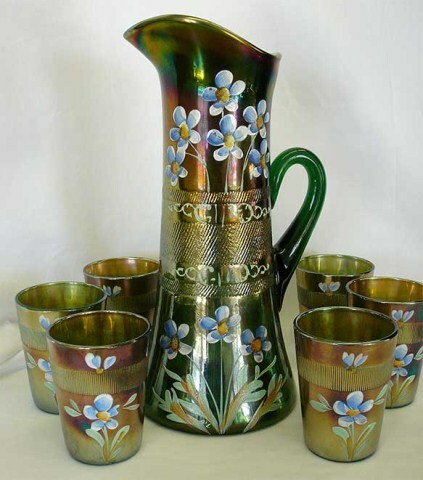 This 5-piece set (above left) sold for $2,600 in 2005. 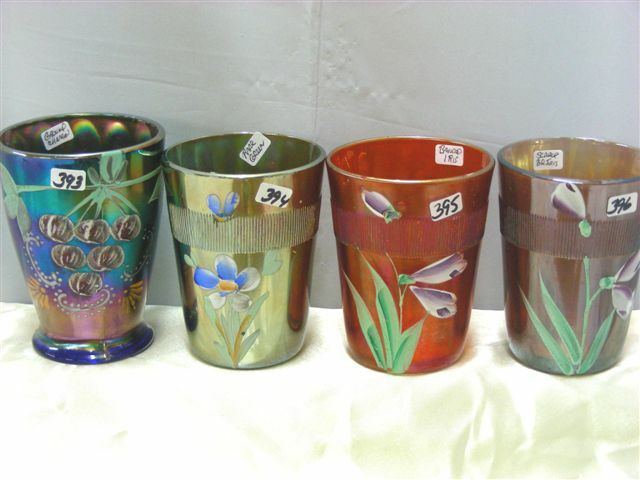 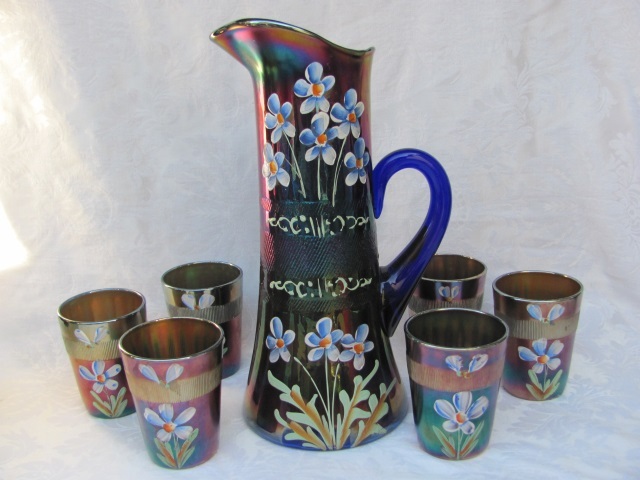 In the center is a blue pitcher and three tumblers that sold at the 2003 ACGA convention auction for $1,400. 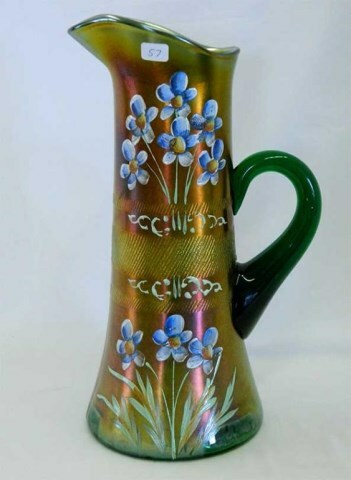 Courtesy of Burns Auctions. 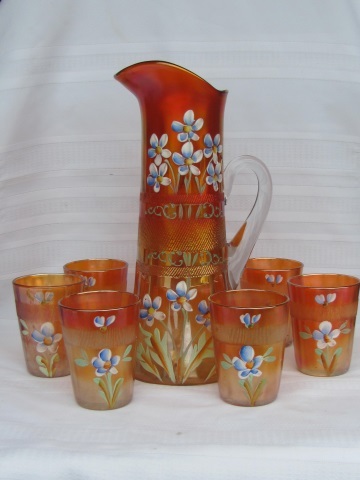 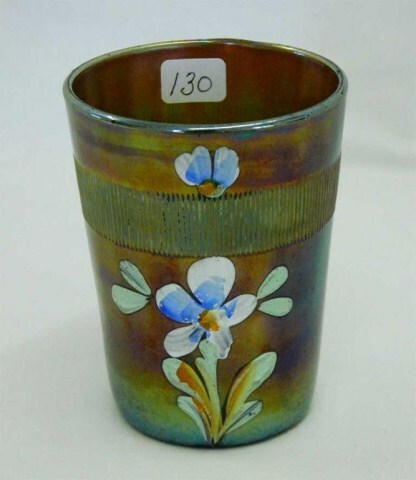 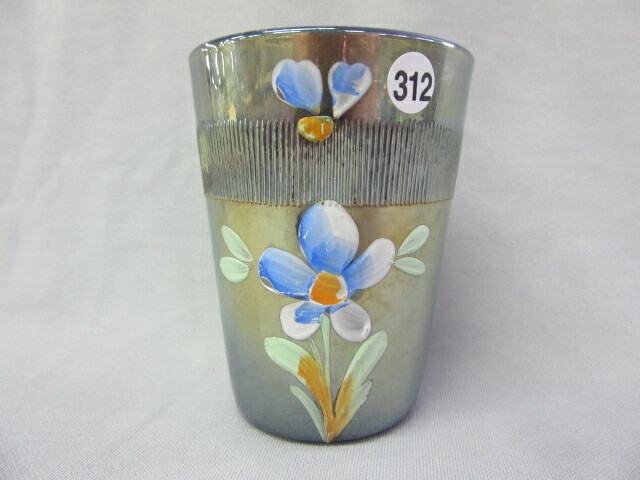 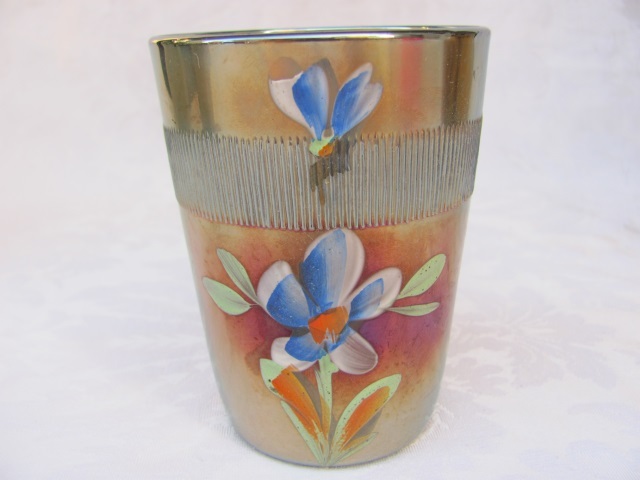 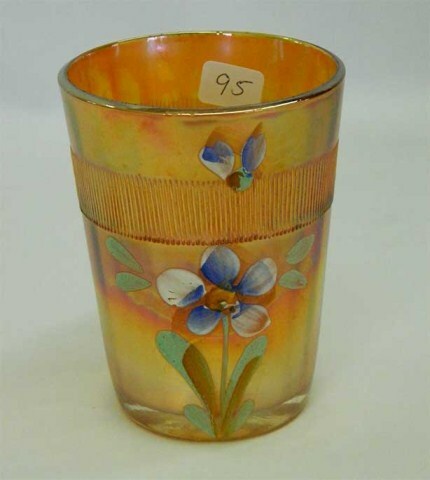 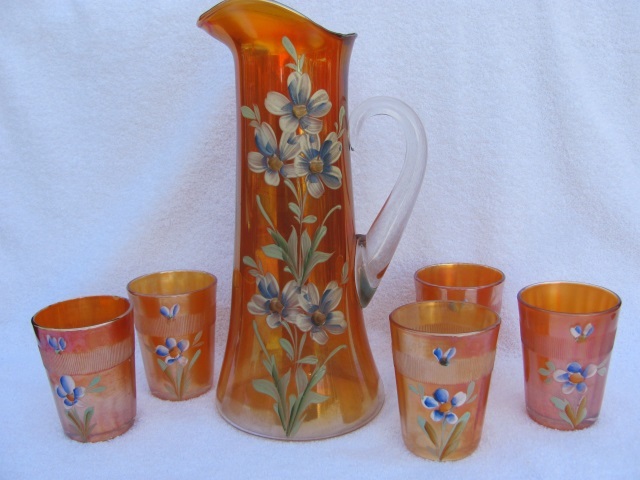 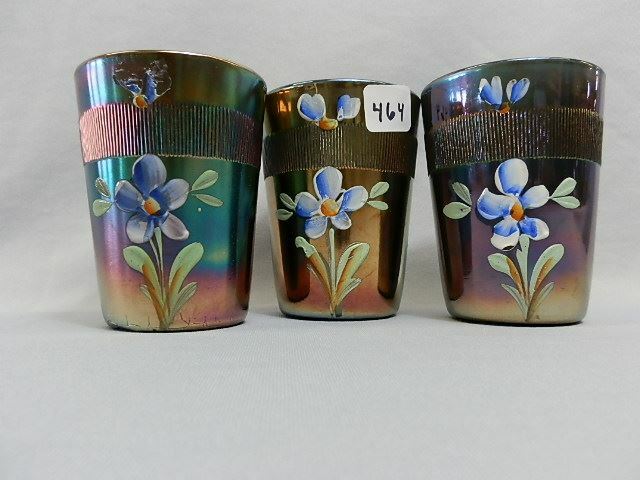 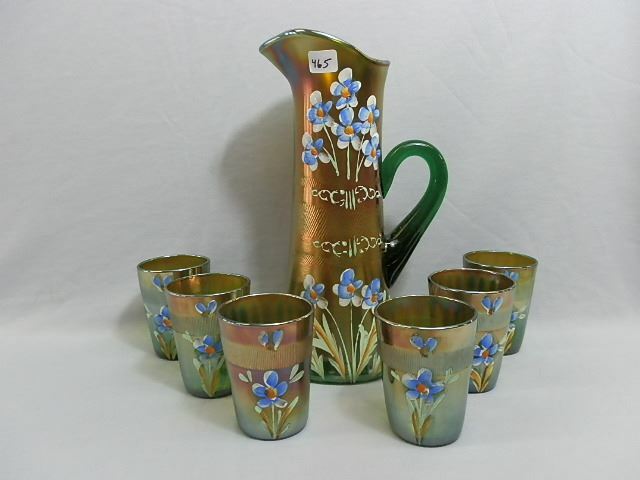 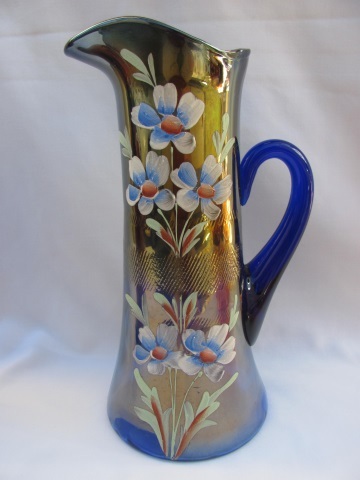 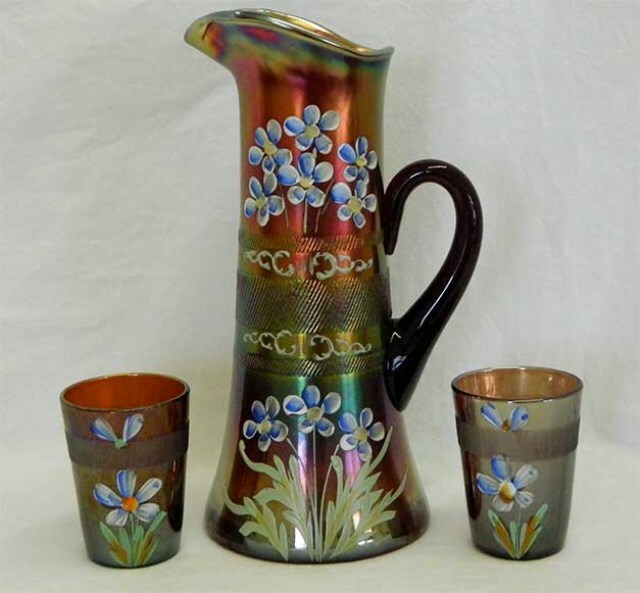 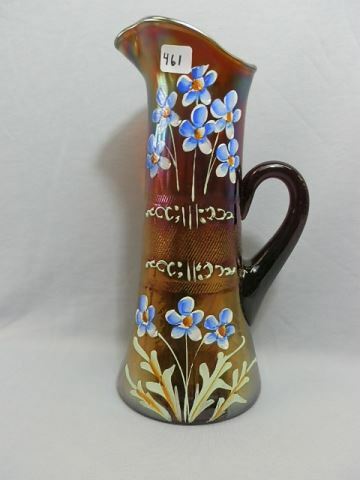 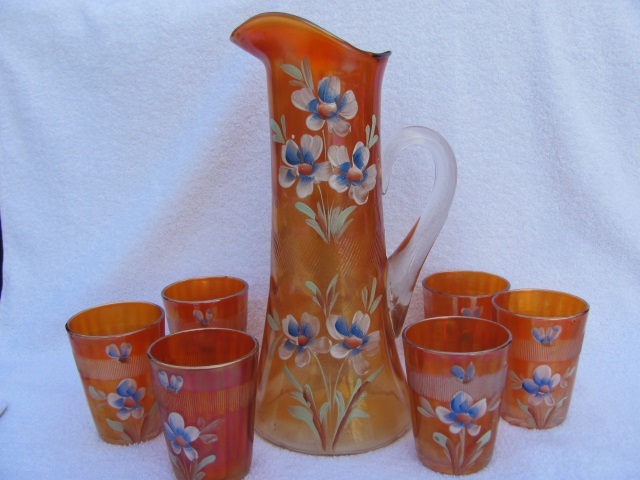 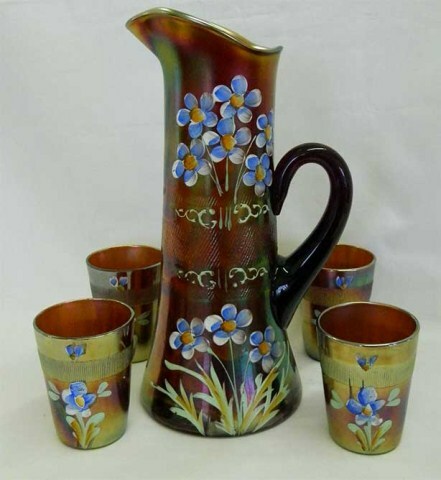 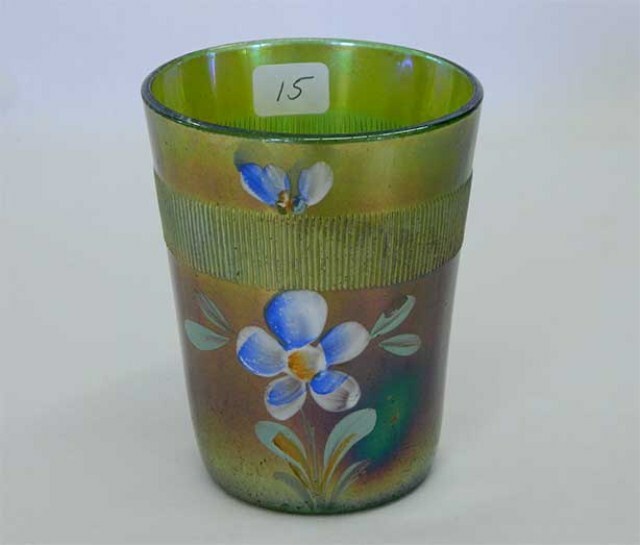 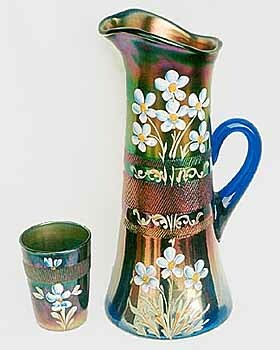 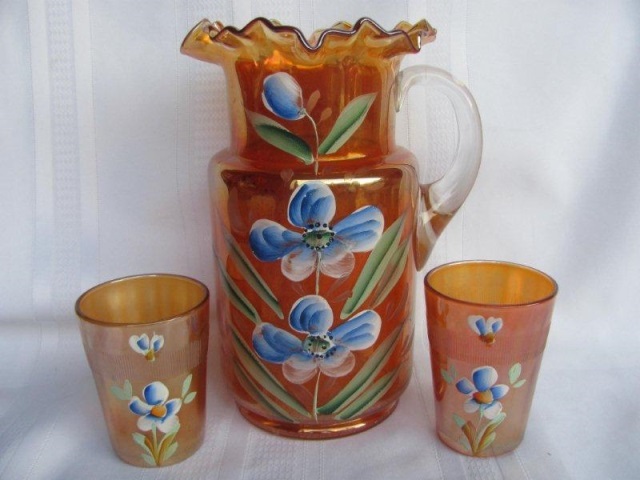 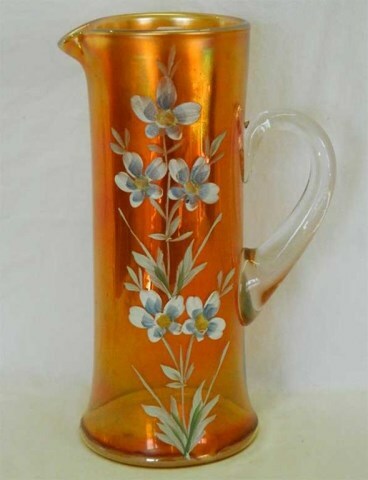 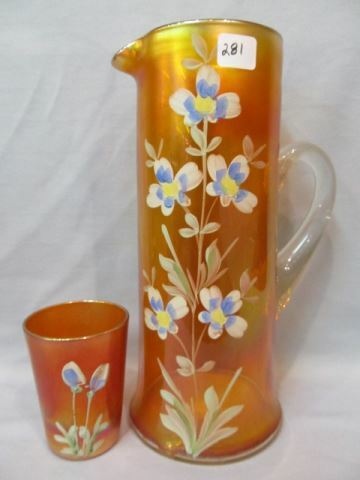 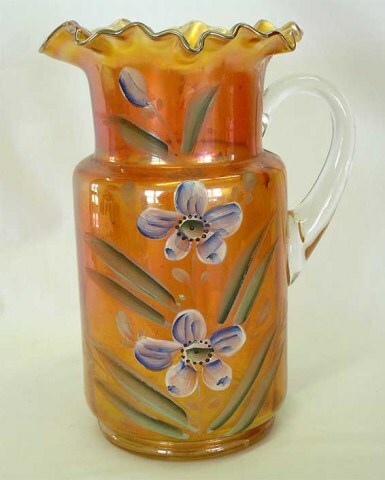 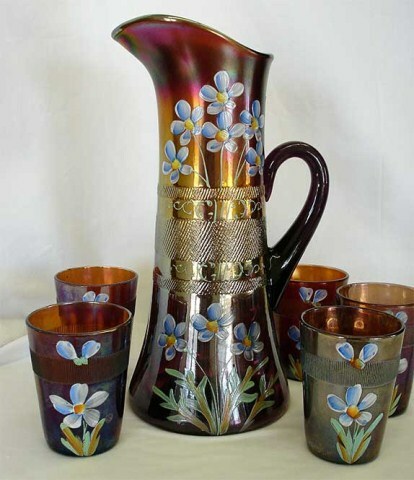 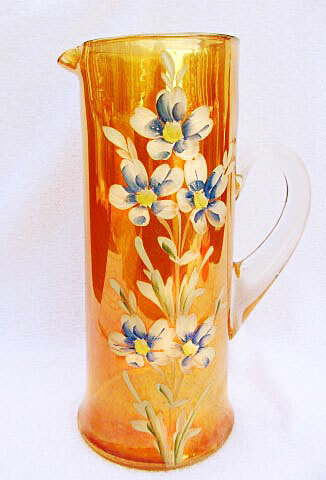 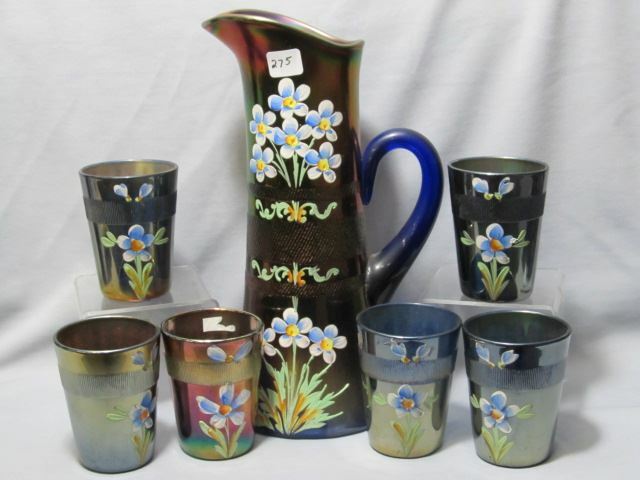 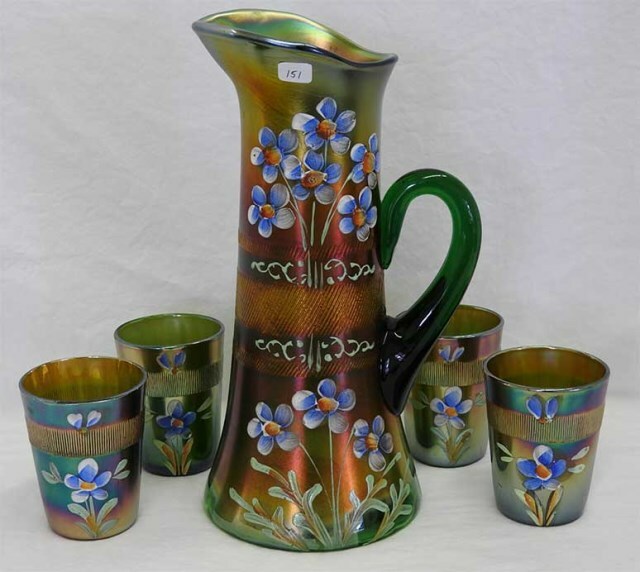 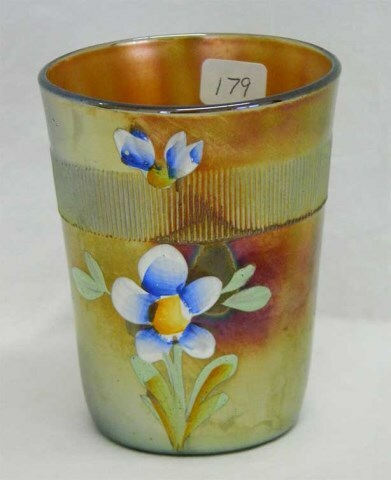 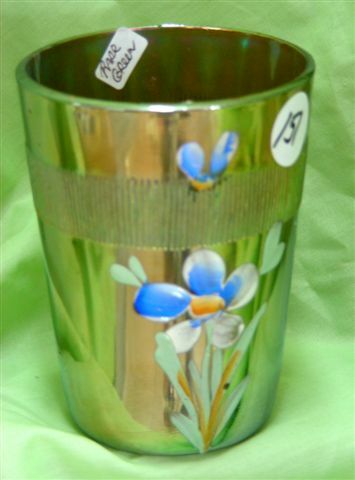 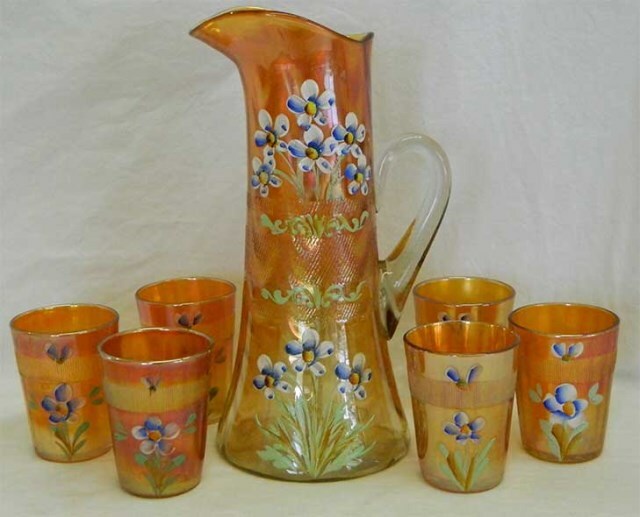 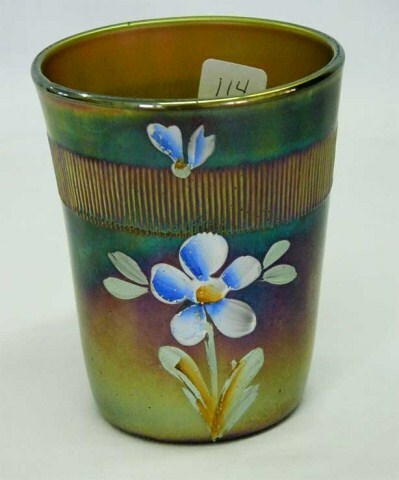 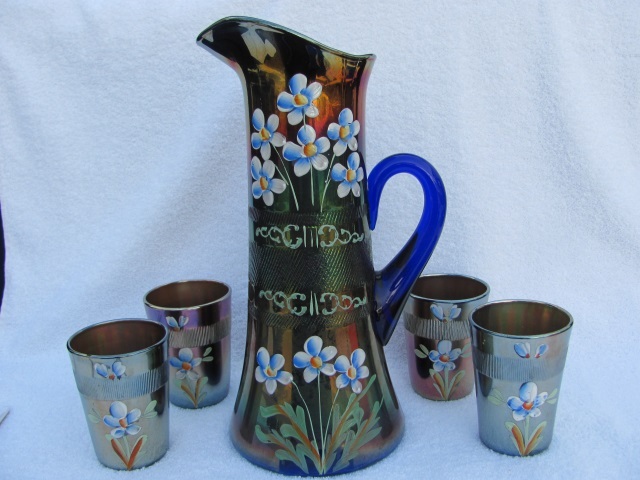 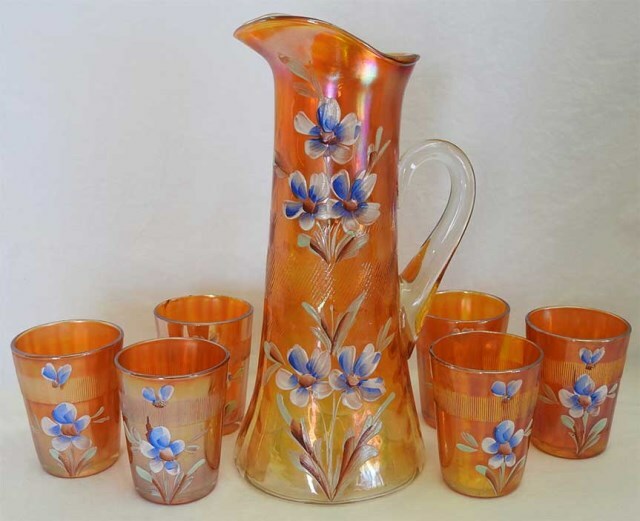 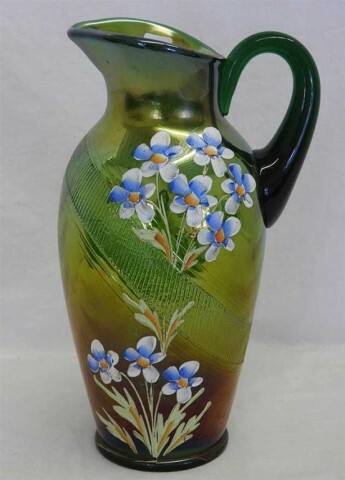 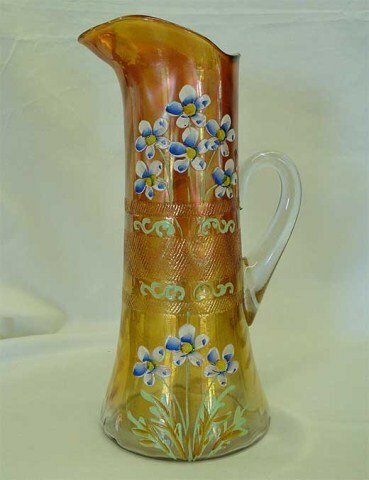 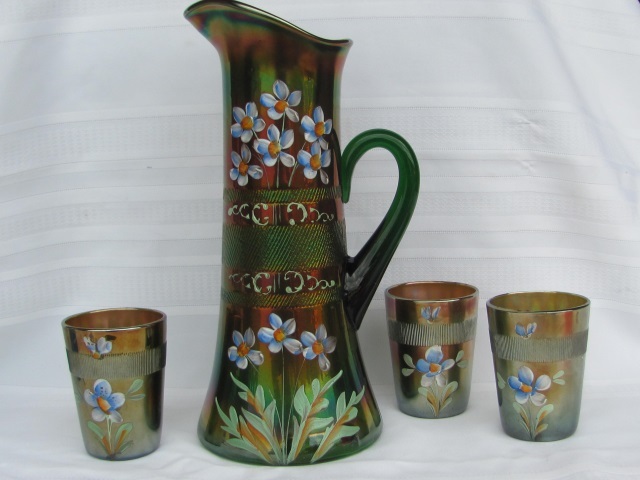 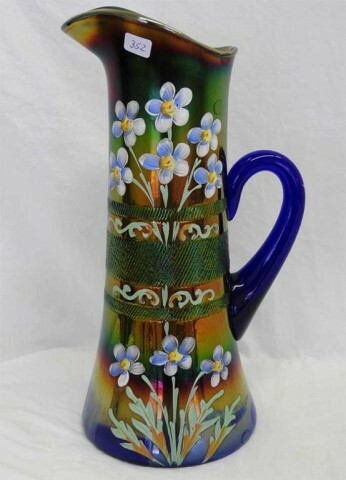 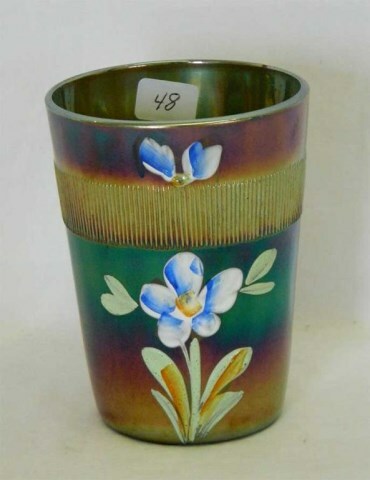 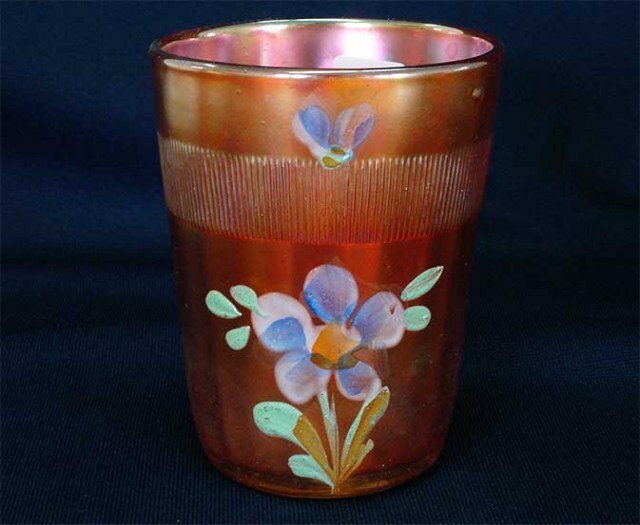 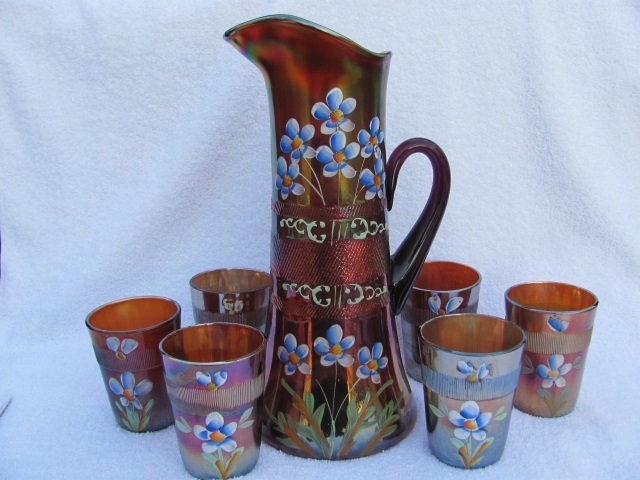 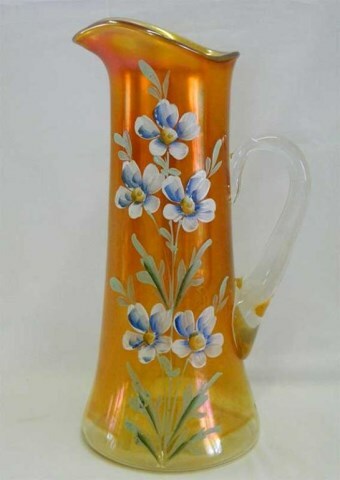 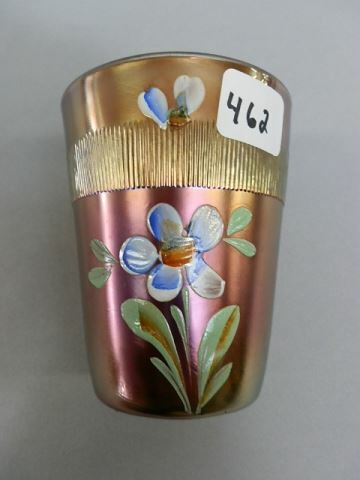 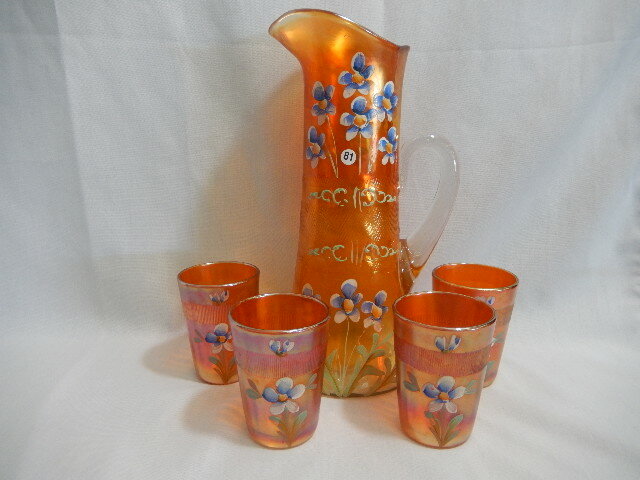 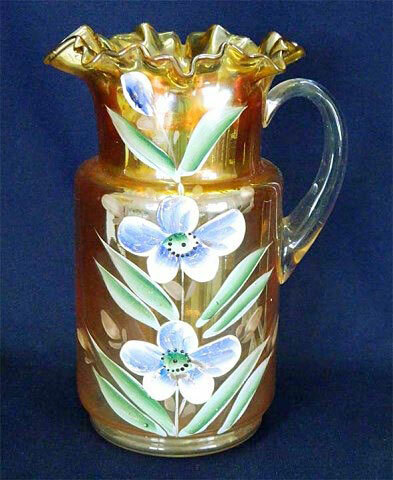 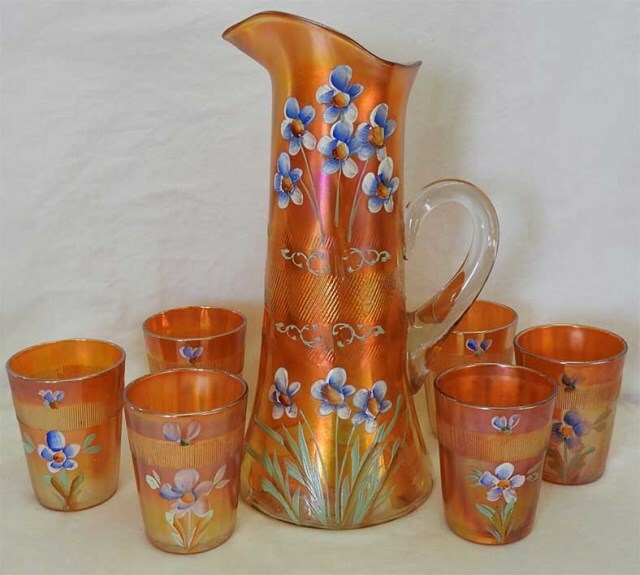 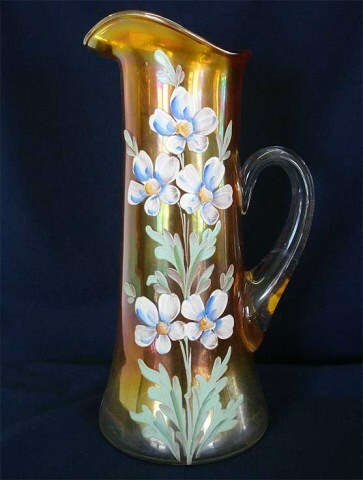 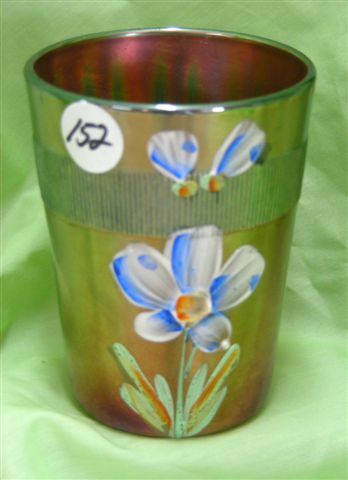 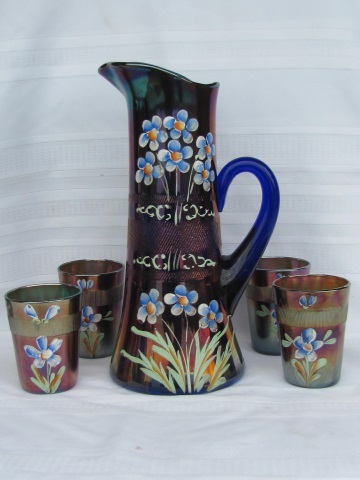 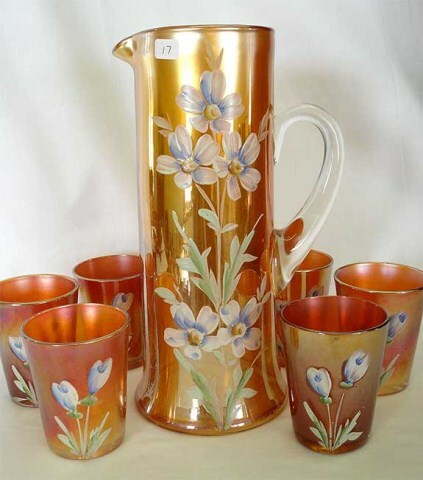 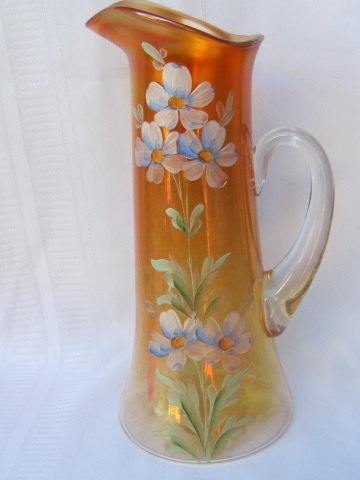 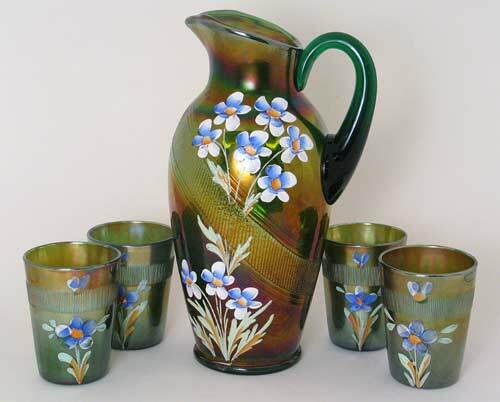 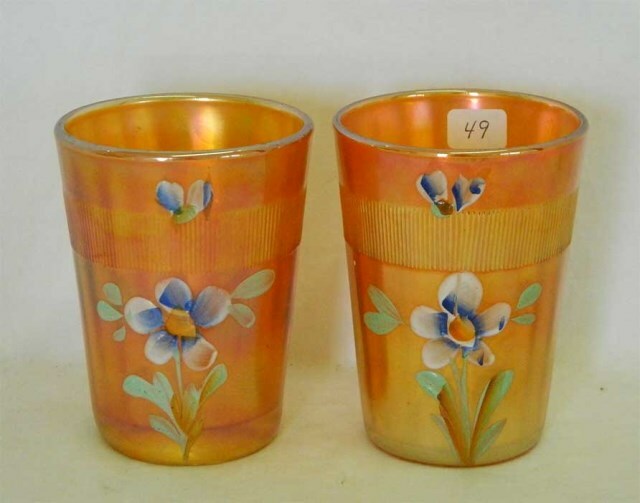 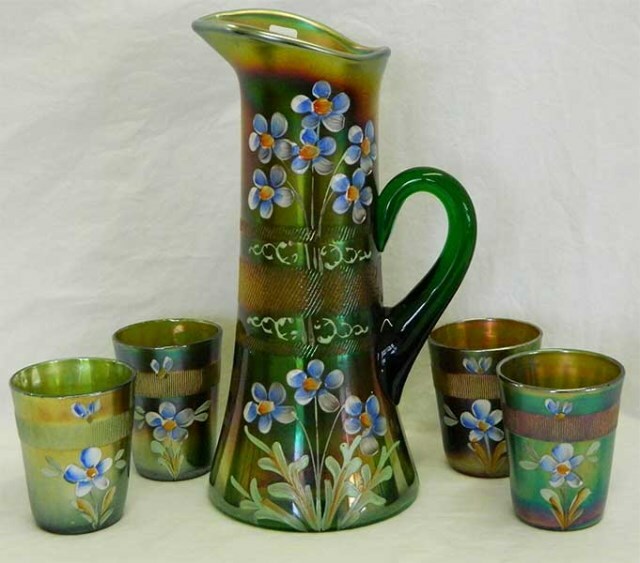 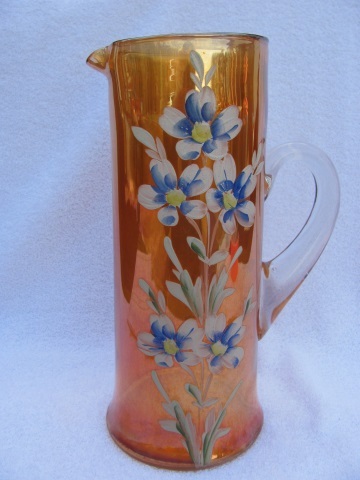 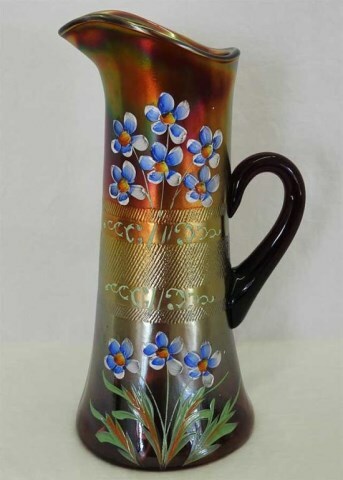 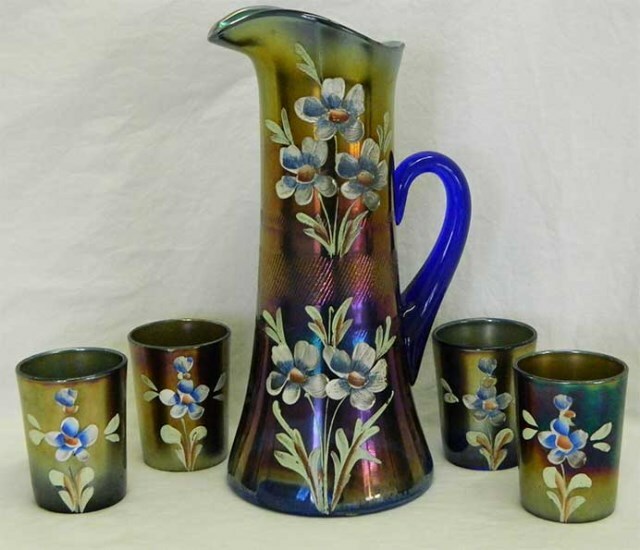 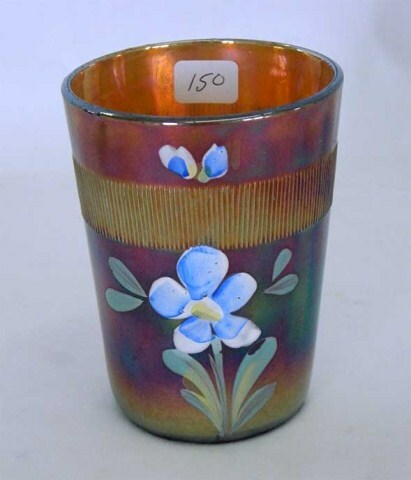 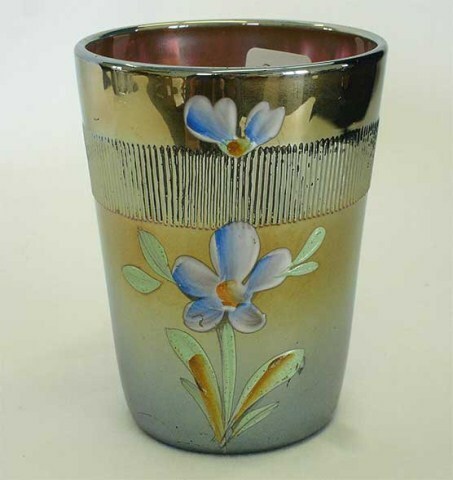 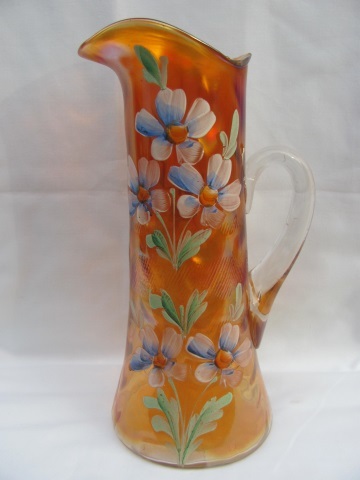 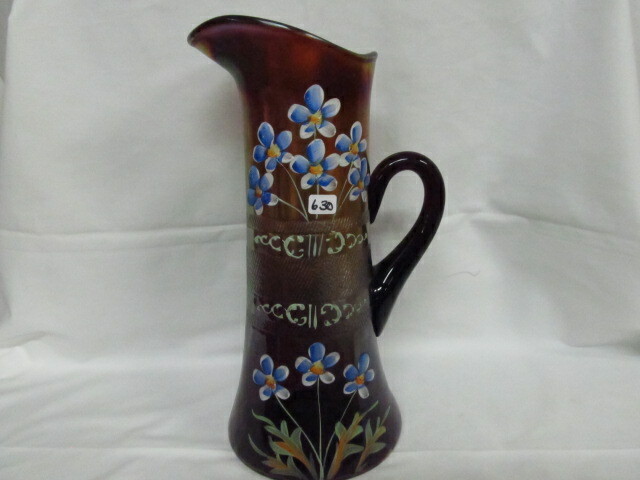 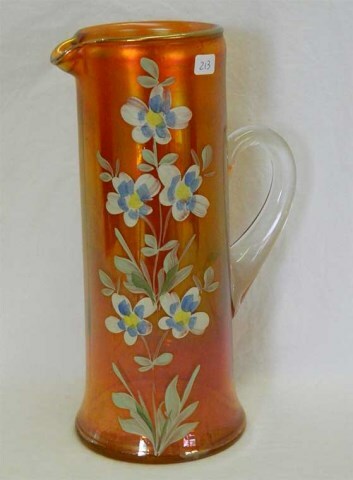 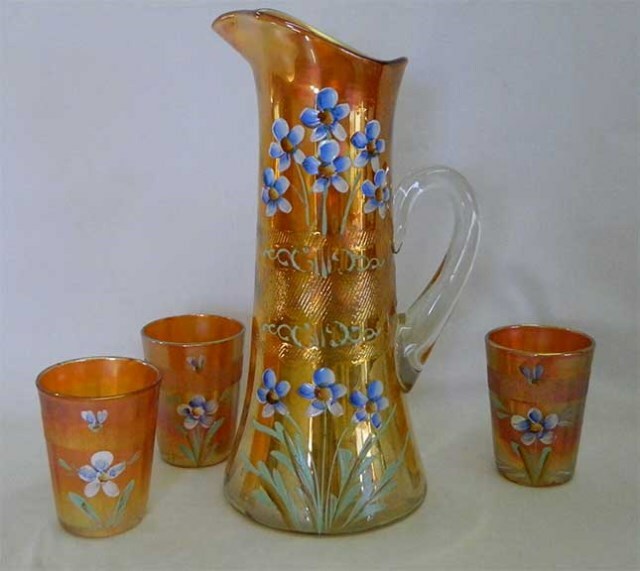 Another version of the Forget-Me-Not pattern is on the right on a cylindrical pitcher. 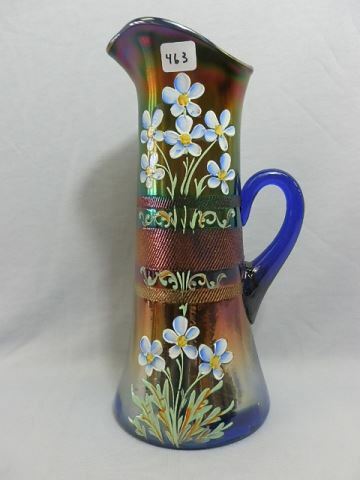 This one sold in 2014 for $435. 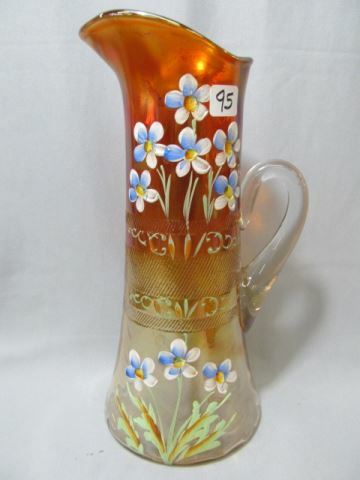 Photo courtesy of Burns Auctions. 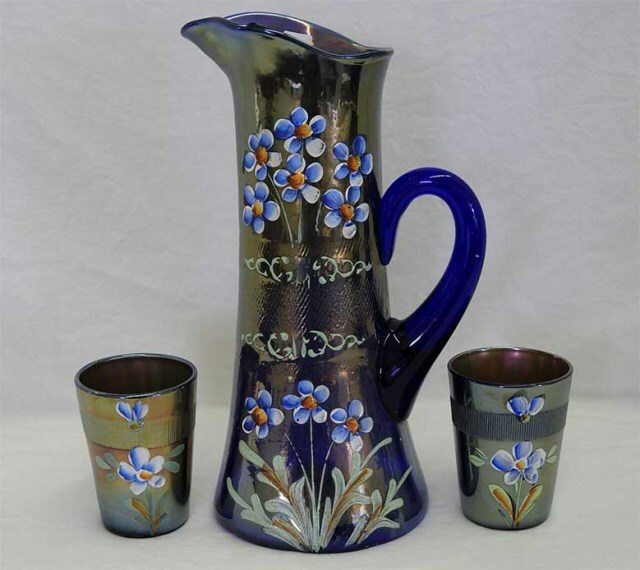 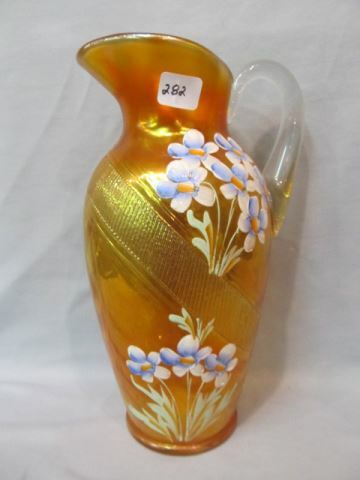 This water pitcher, different in both design and decoration, sold in 2014 and was also listed as Periwinkle but is actually Forget-Me-Not. 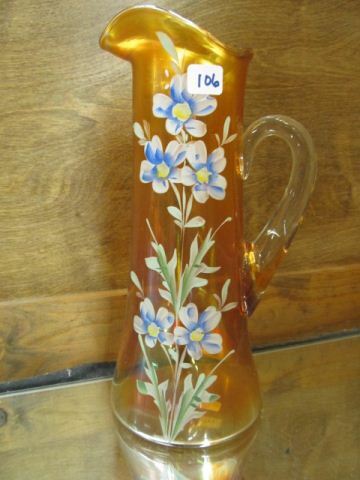 It brought $150. 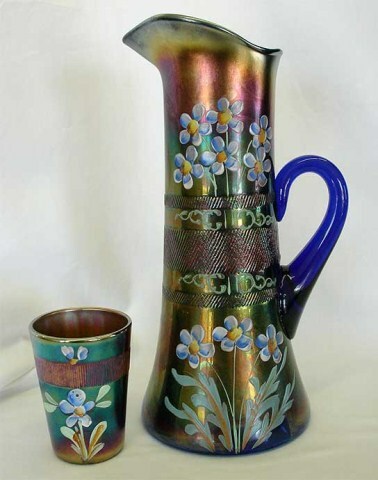 Two similar pitchers, each with a tumbler, sold in 2014 for $175 and $200.